It stretches from Kyle of Lochalsh in the west to Loch Ness in the east and from Achnasheen in the north to Upper Quoich in the south. Mountain rescue boundaries tend to be rather fluid but like most teams we have a core area that sees most of the incidents. For us, that core area is Glen Shiel with the Five Sisters of Kintail on one side and The Saddle on the other. Loch Duich, looking into Glen Shiel. The Five Sisters are in the distance on the left. Low level incidents occur in all corners of our area. Beauty spots such as the Falls of Glomach and Glen Affric take people into wild country that may be beyond their experience. The eastern and western extremes have hills of 400m to 700m and substantial areas of elevated moorland and forest. 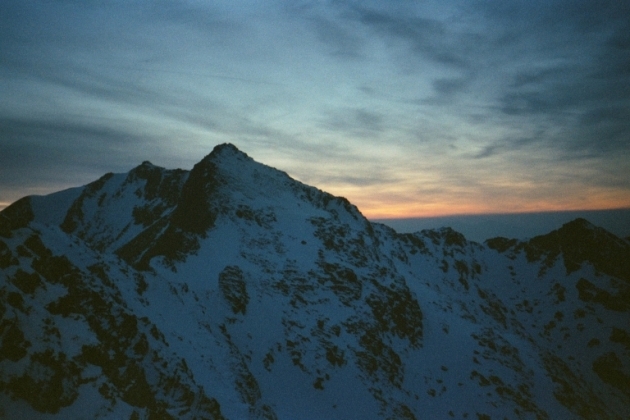 The central part of the area is populated from north to south with summits over 1000m. This central part is characterised by consistently steep and complex ground threaded by the challenging ridges that the North West Highlands is known for amongst mountaineers. 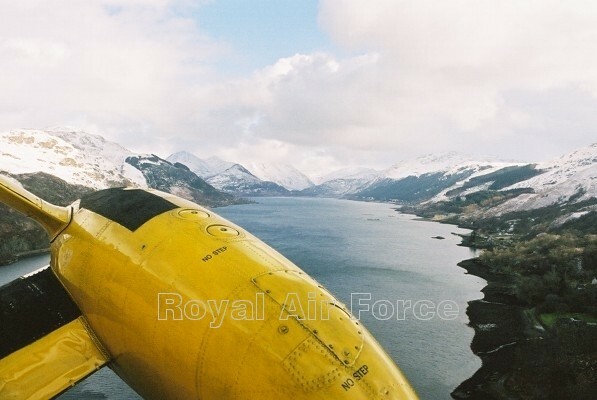 "Three long mountain ranges terminate around the head of Loch Duich: Beinn Fhada, the Five Sisters of Kintail and the Cluanie Forest which culminates in the Saddle. The glens which radiate from Loch Duich between these mountains, which form the watershed of mainland Scotland within a few miles of the western sea, are short, steepsided and deep. They contain burns or rivers which rush and tumble through waterfalls and pools girt with alder to flow through pastures in the lower glens, while high corries and ridges contain their upper reaches. It is the grandeur of the mountains that makes the scenery here so magnificent. Glen Shiel is dominated by the pinnacles of the Saddle and the spearlike cone of Faochag. The Five Sisters of Kintail, when viewed from Mam Ratagan, Letterfearn or Carr Brae, are supremely elegant peaks, forming a graceful and imposing background at the head of Loch Duich. The serrated ridge of massive Beinn Fhada towers over Glen Lichd and Glen Choinneachan." Based on an extract from “Scotland’s Scenic Heritage”, The Countryside Commission for Scotland, 1978. 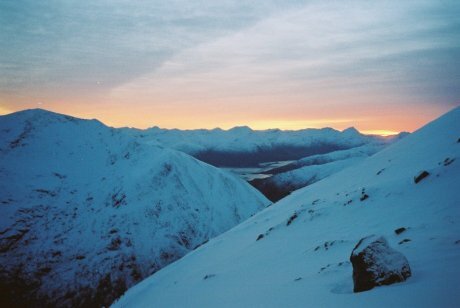 The Five Sisters of Kintail and the South Glenshiel Ridge provide two substantial high level ridge walks. Neither are technically challenging in summer but their length should not be underestimated and cornices are a serious hazard in winter. The Forcan Ridge leading to The Saddle provides a more technical challenge particularly in winter. 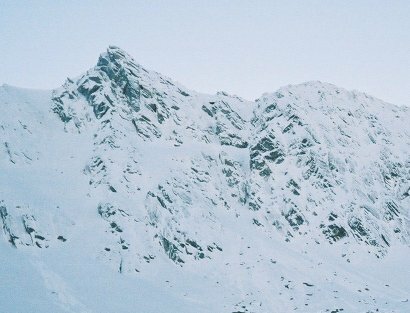 North facing corries provide opportunities for low and middle grade winter climbing. Recording of routes in the area has only become common since the early 1990s. A recent genre of travel books lists special and beautiful places from around the world. The beauty and spectacle of the North West Highlands is celebrated in several of these books. The conservation areas designated within the team area are too numerous to list, far less describe in detail, on this site. The records of these areas held by our national institutions are awe inspiring in their number and nature even before you cast your eyes over the terrain and the life upon it. Three National Scenic Areas are designated here: Affric in the north-east, Kintail in the west and Knoydart along the south-western boundary. Glen Affric is also a National Nature Reserve. The western sea lochs are Marine Conservation Areas and features of some of these are Special Areas of Conservation (SAC). There are a number of other SAC and several SSSI (Sites of Special Scientific Interest). The Affric hills are the highest in the North West Highlands and their height, latitude and climate help to make them the scene of rare alpine, sub-arctic and bog habitats. Kintail, West Affric, the Falls of Glomach and Balmacara estates are all owned by the National Trust for Scotland and include several of the designated conservation areas. Long before the era of the nature reserve and the SSSI, the Ordnance Survey began two centuries of conservation work of a different kind but of considerable greatness. As a result, the language of the maps of this area is almost entirely Gaelic. (The area also has as great a proportion of Gaelic speakers as can be found in any part of the Scottish mainland.) Many of the names of mountain features in the area bring as much descriptive character to the map as the contour lines or features of water or rock. An elementary study of the Gaelic names of the features of the land and their pronunciation is likely to bring a special richness to your experience of the area.